Come Wander has been created to share the stories of Ontario's Highlands and provide a place for our tourism partners and operators to share their brand message and reach new audiences. We know you're busy, so we're asking that you answer just one simple question each month. 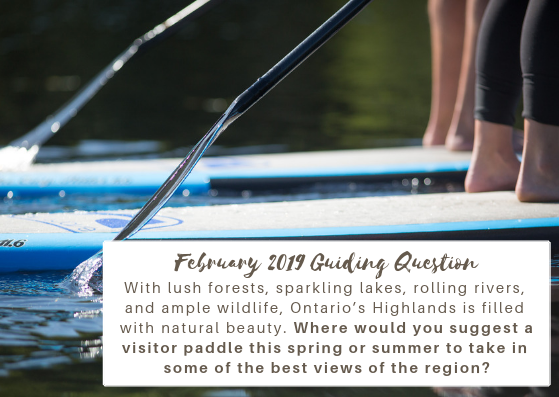 Where would you suggest a visitor paddle this spring or summer to take in some of the best views of the region? Please submit your response to this question by Thursday, February 28, 2019. Have a question about this opportunity? Please contact Jennifer for more information.